Patent Ductus Arteriosus (PDA) review for nursing students! 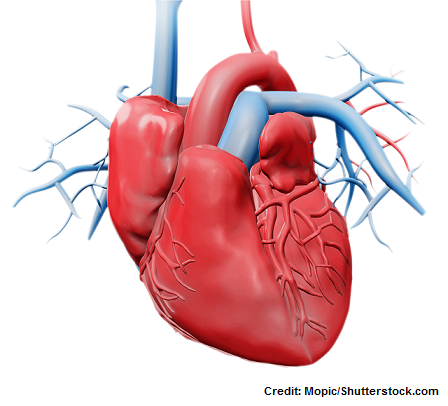 In this review you will learn about the congenital heart defect known as patent ductus arteriosus (PDA). This is a topic you will see on your pediatric nursing lecture exams and possibly the NCLEX exam. After reviewing these notes, don’t forget to take the quiz that contains patent ductus arteriosus NCLEX questions and to watch the lecture. What is patent ductus arteriosus? It’s a congenital heart defect where the ductus arteriosus does NOT close after birth. This will lead to an increase in pulmonary blood flow. When you are studying congenital heart defects for your peds class or the NCLEX exam, LET the NAME of the defect help you. For this condition, it is PATENT ductus arteriosus. “Patent” means failing to close, hence it stays opened. Therefore, in other words, the patent ductus arteriosus stays open. Normal blood flow through the heart? What the ductus arteriosus is and its function? It’s a blood vessel that connects the aorta to the pulmonary artery in a fetus. It should be present in all newborns. However, it should close shortly after birth (usually within 3 days). Its purpose is to help carry blood that is entering the right side of the heart to the rest of the body, hence it allows the blood to bypass the non-functional lungs in the fetus. Remember babies in the womb don’t use their lungs yet (they are receiving oxygen from the placenta), so there isn’t a reason for blood to pass through the lungs until AFTER birth….which is why the ductus arteriosus will close because it’s no longer needed. After birth, the lungs will work and this vessel will close so blood from the right side of the heart can go through the lungs to become oxygenated. Patent ductus arteriosus is more common in premature babies. A large PDA causes problems and will need repair. Many small PDAs may close on their own and usually don’t lead to outright symptoms because they are not allowing too much blood to flow to the lungs abnormally. Why is patent ductus arteriosus a problem…what’s the big deal about the vessel not closing after birth? Unfortunately, more blood will enter the lungs and a left-to-right shunting of blood will occur. A large patent ductus arteriosus will cause blood that has already been oxygenated to pour back into the pulmonary artery to go back to the lungs. This overload of blood to the lungs will stress out the lungs and lead to high pressure in the arteries that feed the lungs. This is known as pulmonary hypertension. Furthermore, because of this high pressure in the arteries the arteries will narrow and the heart will have to pump even harder to get the blood to the lungs, which can lead to heart failure. The heart muscle will tire out and fail. The patient will experience heart failure. This in turn will cause fluid congestion in the lungs along with placing the patient at risk for lung infections, endocarditis (high pressure in the heart can affect the integrity of the lining of the heart leading to infection) etc. continuous “machinery-like” murmur: note this is a continuous murmur, so it is heard during diastole and systole at the left upper sternal border. WHY? It’s caused by a turbulent high pressure that is existing during systole and diastole from the aorta allowing blood to enter into the pulmonary artery. endocarditis risk: WHY? The high pressure created can affect the lining integrity of the heart allowing bacteria to stick in the heart. widened pulse pressure: this is the difference between the systolic and diastolic pressure and it indicates the force the heart needs to contract. In patients with PDA, the diastolic pressure will be decreased, which will lead to a wide difference between systolic and diastolic pressure. WHY a wide pulse pressure? When blood is leaving through the extra vessel (hence the patent ductus arteriosus) back into the pulmonary artery, this will decrease diastolic pressure. Remember diastolic pressure is the pressure of the blood in the arteries when the heart is filling or in between beats…hence relaxing). Because the diastolic pressure is lower, it will lead to a wide pulse pressure. Heart failure: the heart becomes weak from having to pump blood to the lungs against so much resistance (the pulmonary hypertension). The heart muscle can’t pump and blood starts to pool even more in the lungs…crackles, dyspnea, major respiratory problems.